Collection Information Tickets must be redeemed at the Singapore Zoo entrance, please have your iVenture Card present. 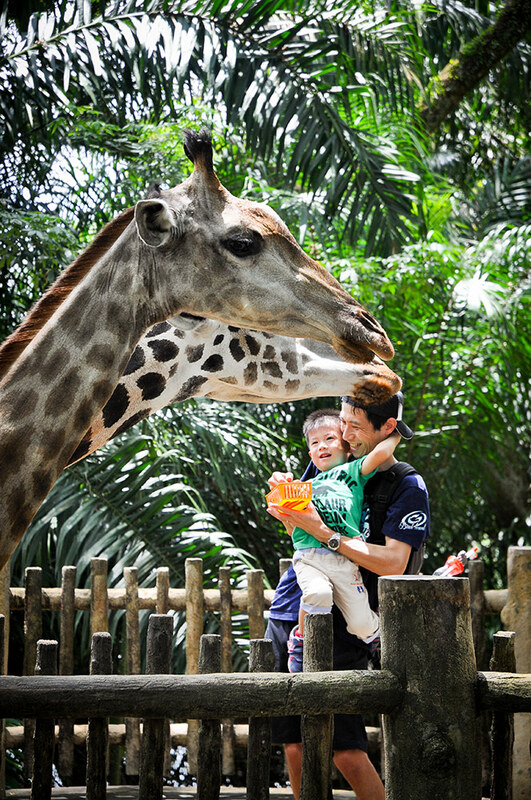 Get up close and personal with white tigers, kangaroos, pygmy hippos and even mole rats at Singapore Zoo! 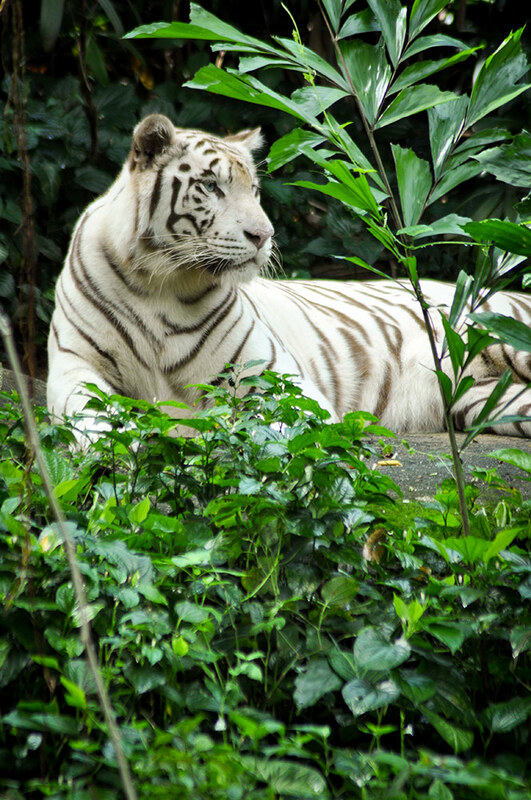 The zoo is one of Singapore’s top animal attractions and houses a whole host of spectacular creatures, spread out over 26 hectares of wild parkland. 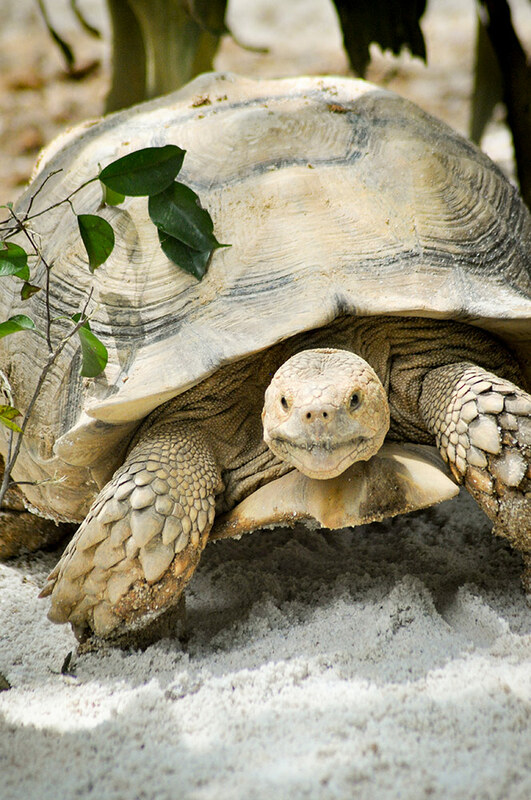 There are over 300 species of mammals, birds and reptiles here, inviting guests to take a walk on the wild side as you explore all 11 of the zoo’s eco-zones. 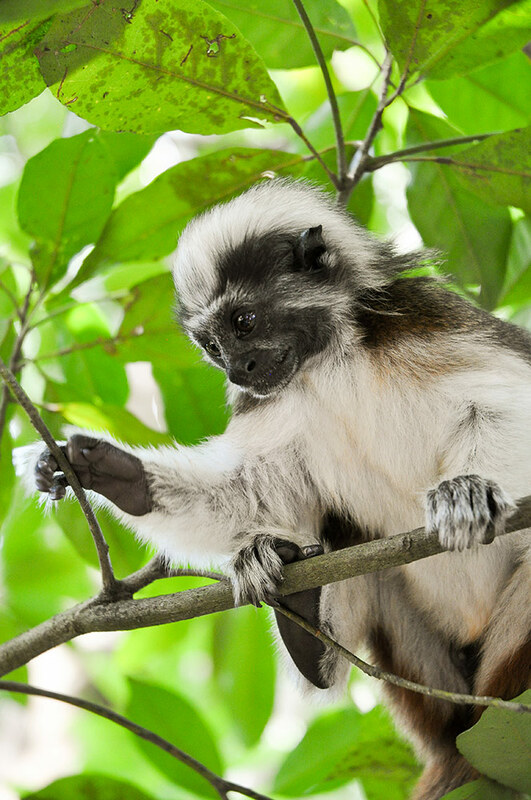 The Singapore Zoo is home to some of the most distinctive wildlife in the world and is full of surprises. You can meet the world’s first polar bear who was born in the tropics and all 39 species of primate in the noisy Primate Kingdom, where monkeys swing effortlessly above your head and chatter loudly to each other. There are lots of things to discover in the Australasia zone, too - see if you can spot a lesser known tree kangaroo and cassowaries! There’s also a Reptile Garden where you can go nose-to-nose with danger-tongued snakes, iguanas and magical Komodo dragons. 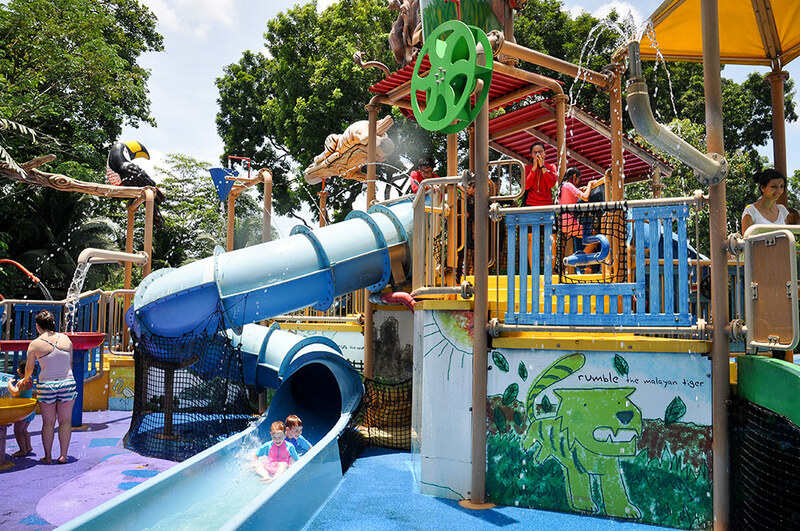 The Singapore Zoo has a variety of exciting shows and feedings.You won't want to miss the star of the Splash Safari, a mischievous California sea lion, or the chance to hand feed animals such as elephants, giraffes and the incredible white rhinoceros. 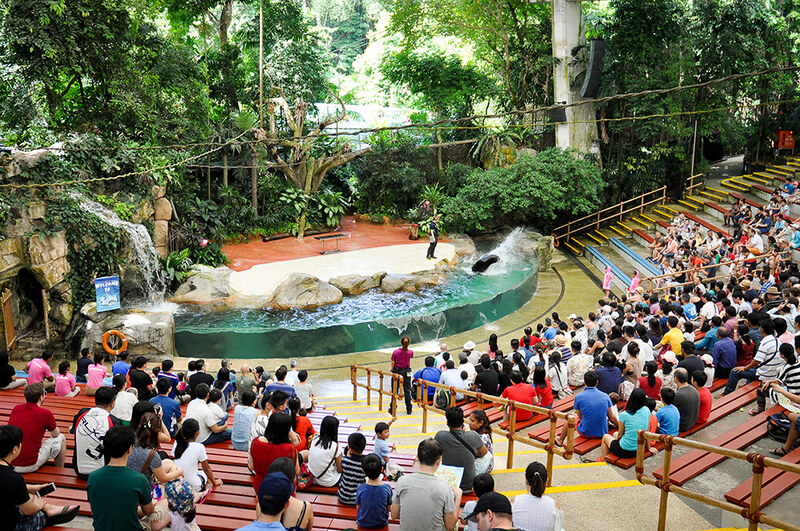 For more information on when to visit these shows, check out the Singapore Zoo website. 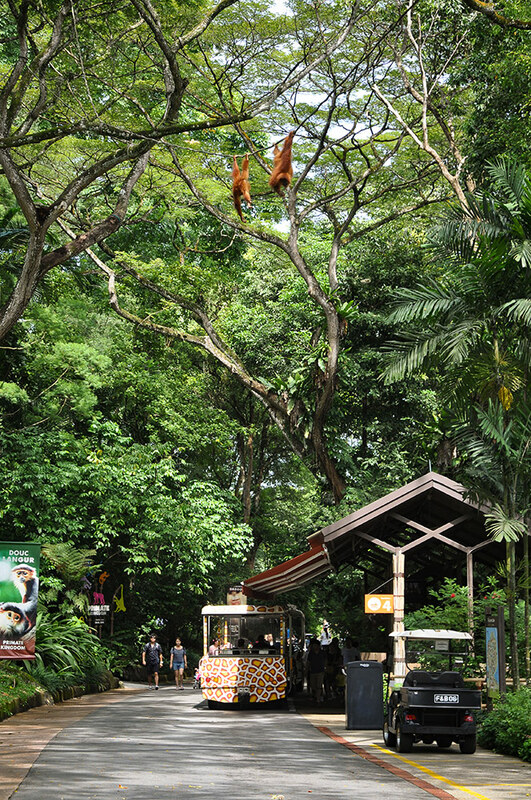 The Singapore Zoo is extensive, and it’ll take at least half a day to really get the most out of your time here. It’s good to arrive here really early - about 8 am - as this is when the animals will be active. Alternatively, get here late afternoon and stay ‘til late as you’ll see a completely different side to the zoo and its inhabitants. One hot tip is to try and see the Reptile Garden at feeding time. If you’ve never seen a snake digest then you’re in for a (rather weird) treat!